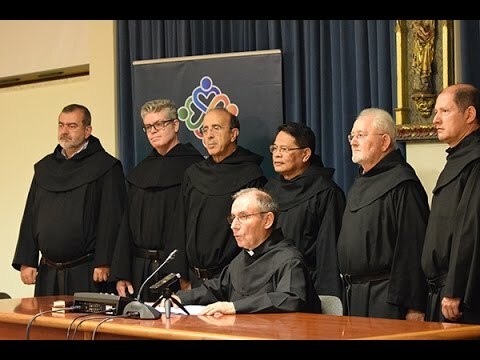 Particularly dedicated to the restructuring of the Order and looking towards the revitalization of people and communities, one of the most important decisions of the General Chapter celebrated in Rome in October 2016 was the promulgation of a new structure for the Order of Augustinian Recollects. Unite the Province of St Augustine to that of St Nicholas of Tolentino. Unite the Province of Our Lady of Consolation to that of Our Lady of Candelaria. Unite the Provinces of St Joseph and St Rita of Cascia to that of St Thomas of Villanueva. Maintain the Province of St Ezequiel Moreno, increasing its presence in a new country in Asia. Following the vote on this decision, as well as those linked to general and specific provisions concerning the process to follow, the chapter room broke into loud applause, aware of the inspiring plan that from then on would be put into operation with the help of all the brothers». The Provincial Chapter in May 2018 is the starting point for the merging of the provinces of St Nicholas of Tolentino and St. Augustine; since the announcement of the chapter’s wishes through to this date various meetings are being held, and a Commission for the Merger of Provinces has been set up. The province of St Augustine had an unexpected and premature beginning. The plan took shape at the General Chapter of 1938 when Gabriel Salinas, the capitular delegate for the religious in the United States, without letting anyone know in advance and having obtained the good will of the president of the Chapter, put forward the request for the formation of a province. Salinas believed in its viability: it was economically self-sufficient, there was a hopeful future, it was hoped that having superiors close at hand would improve discipline and stimulate interest in local vocations. Those present at the chapter not only accepted the idea of creating the Province of St Augustine, but also created a further province, that of St Joseph, from the houses of the Province of St Nicholas of Tolentino in Venezuela and Peru. Nevertheless, the entry of the United States into the Second World war put the question on the back burner. In 1943 the General Council returned to look at it, obtained authorization from the Congregation for Religious and on 13th December issued its edict. The new Province would bear the name of St Augustine and would have its administrative base in Omaha. On 5th January 1944 the first superiors were appointed. The official installation took place during a solemn celebration in Kansas City. At the time, the province had 52 professed religious and five novices. The province was born at a difficult time in world history. Its growth was restricted by the war; vocations were not arriving in the expected numbers; its financial situation continued to be precarious and meant that large-scale plans could not be undertaken. The great majority of the friars continued in pastoral ministry and they lacked centres belonging to the Order itself. But there was enthusiasm: the province had faith in its possibilities and with the help of its sister provinces began overcoming obstacles. The most serious shortage was in personnel. It was difficult for a province with only 60 members to develop adequately according to what was expected of it by the Constitutions. An effort was made to increase numbers through a serious vocations promotion and with the help of sister provinces. In 1947 a vocations fund was set up; 1949 saw the launch of the magazine Tolle Lege to bring the initiatives together; in 1951 a vocations committee was established, and in 1954 a religious was appointed full-time to this field; in 1961 four regional representative were nominated for the areas of Kansas, Omaha, New York, and Connecticut. The seminary of Norfolk (Connecticut) opened in 1960, well-equipped and with capacity for a hundred students, but it hardly ever exceeded a total of fifty. The result was disappointing because the vocations crisis came to be felt very soon after in the United States. For the 1968-69 academic year the college admitted no candidates, and the following year it closed its doors. The province soon realised that its efforts were not going to be enough to meet its needs. In 1945 the provincial took steps to attract religious from Venezuela, Peru, and Colombia. At the end of the year, following an agreement with the provincial of St Nicholas, he brought in four religious who were working in Peru, and he tried to encourage religious from other provinces and countries to the new Province. 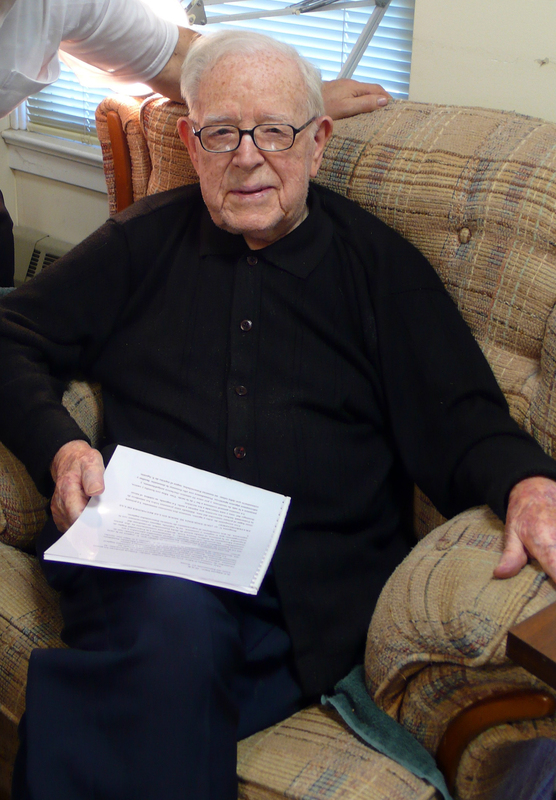 In September 1949 six theology students arrived from Spain, and in 1956 ten more. These were the most numerous groups, but in the intervening years others had come too. Neither did these volunteers produce results: some returned to their province, and others could not bear the cultural shock and lost their vocations. Nevertheless, the effort was not in vain. The 56 religious who made up the province in January 1945 had increased to 129 in December 1966. Another priority for the province was the formation of its religious. Between 1948 and 1962 four obtained doctorates in the Catholic University of Washington, and others followed their studies in Fordham, St Louis and Kansas City (USA), Salamanca (Spain), Rome (Italy), Leuven (Belgium), and Trier (Germany). By 1974, 85% of the religious had a university qualification. Religious and charismatic formation was also important, which bore fruit in the attention paid to the person and doctrine of St Augustine -something that was not so common at the time- and in various practices from the Recollect tradition. One fruit of this interest was the creation of a good Augustinian library in Kansas City, later transferred to Suffern (New York). During its early years, the province’s activities were confined to the parish ministry in three zones: Nebraska (three parishes) and Kansas (one religious house and two parishes) in the centre of the country; California (three parishes) in the West, and Texas (five parishes) in the South. The majority of the friars gave particular attention to Hispanics, a group that at the time was often overlooked by the Church in the United States. Despite these early indications of a specialization in the Hispanic apostolate, the non-Hispanic growth of the province was never in question. Hispanics were the object of their enthusiastic evangelization, but the ultimate objective, as well as the field in which to seek vocations, was the Anglo-Saxon world. 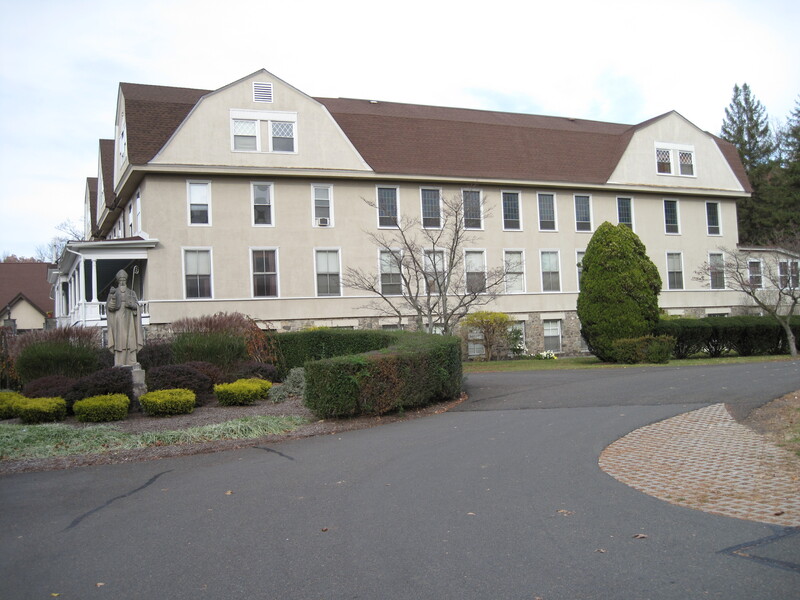 With the purchase of the monastery of Suffern (New York) in 1952, the province established itself on the East coast, where the number of Catholics and the abundance of schools and colleges would favour vocations and formation. 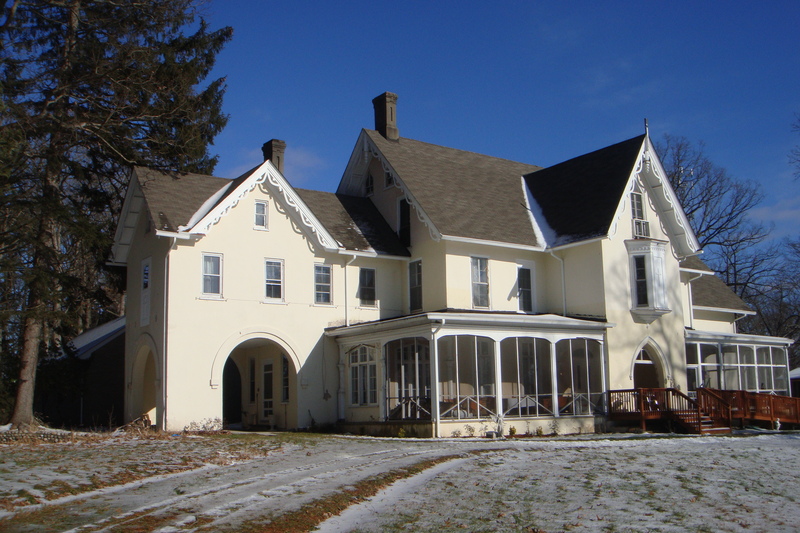 Right from the start, Suffern functioned as a formation house and as a centre for pastoral outreach. The following year a group of four religious took charge of the Puerto Rican apostolate in New York. They set up their base in the parish of the Holy Crucifix in Lower Manhattan. From there, they served the parish of St Rose and spread out across the zone, visiting families and trying to bring them to the sacraments. There were 1,400 Puerto Rican families on the register, and several hundred unrecorded. 60% had not made their first Holy Communion, and 80% were either unmarried couples or had gone through a non-Catholic ceremony. 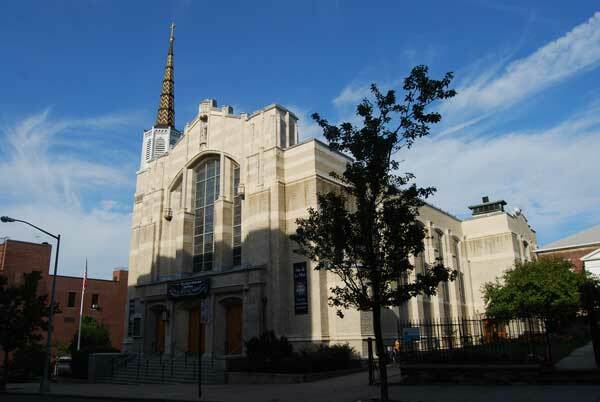 In 1957, Cardinal Spellman officially entrusted the parish to the friars. Within this environment, an interest for the Cursillos in Christianity developed. From 1960 onwards the province would make great efforts in this field. At first the Cursillos were held in Suffern, but their dynamism lead in 1962 to the search for a permanent base, in the St Joseph Centre in Manhattan. Cardinal Spellman made this centre available for the use of the friars. The movement experienced great growth, later adding Cursillos for adolescents , the “Cursillo of Cursillos” and the school of leadership. By 1970 the centre was in contact with 4,000 cursillistas, and in 1972 the movement was present in 75 New York parishes. Help was given in spreading the movement to Boston (1961), Brooklyn, Newark, and Philadelphia (1962), Trenton (1963), Paterson (1964) and Buffalo (1965). In 1994 St Joseph Centre exchanged its old building for another, larger one, in the parish of St John. The return of the Centre to the diocese in 2012 brought to an end this page in the province’s apostolic history. At the same time, the religious also undertook other initiatives which were a complement to the work of evangelization. In 1970, the Augustinian Recollect David Arias launched the Light and Life programme of religious gatherings in people’s homes; two years later there were 45 groups in 30 parishes. The Church recognised his efforts, entrusting him with the Hispanic apostolate in New York (1978-83), and later appointing him auxiliary bishop of Newark (1983) and Vicar for Hispanic affairs. A short time before this, in 1972, another Augustinian Recollect, Alfonso Gallegos, the parish priest of the strife-torn neighbourhood of Watts in Los Angeles, had been appointed Director of Hispanic Affairs of the California Bishop’s Conference, and in 1981 auxiliary bishop of Sacramento, capital of the state. He is at the present time in the process of beatification. Crisis, anxiety, and the struggle for survival. Around 1965 the Province of St Augustine entered into a new stage dominated by insecurity and the feverish search for new paths towards strength and progress. Meetings abounded; the state of the province was considered and external studies were even commissioned (1969, 1974, 1982, and 1992); new organs of governance in the form of secretariats appeared in 1969, as well as publications including Newsletter in 1969 and The Seekers in 1976. Talk was of dialogue, personal responsibility, respect for the person, the reconsideration of life in common, pastoral work, and vocations promotion. However, serenity, self-denial, and generosity were often lacking in these debates. It was a long process of discernment in which the desire to improve life together as well as the apostolate co-existed with a lack of patience and desire for a freer and more comfortable life. The voice of authority and of the law lost their force, whilst that of personal responsibility never ceased to be heard. Other difficulties were added to the inevitable generation gap, which in moments of conflict grew to great proportions. The religious who came originally from Spain tended towards the traditional apostolate, while the Americans preferred more specialized apostolates. The numbers of those leaving the Order also increased: between 1968 and 1974 the province lost almost 30% of its religious, declining in strength from 115 to 82. Even more seriously, the number of the younger professed members dropped from 18 to 6, leaving only a third of the previous strength. In 1969 a clear option was made for the Hispanic apostolate and a start was made in looking for vocations within this apostolate. As a result of this, by 1976 there were eight Hispanic novices. In 1983 a centre for Hispanic postulants was set up in the parish of Santa Ana, as well as another one in Watts in 1985. The first novices were sent to Spain in 1979, and since 1985 this has been done on a regular basis. 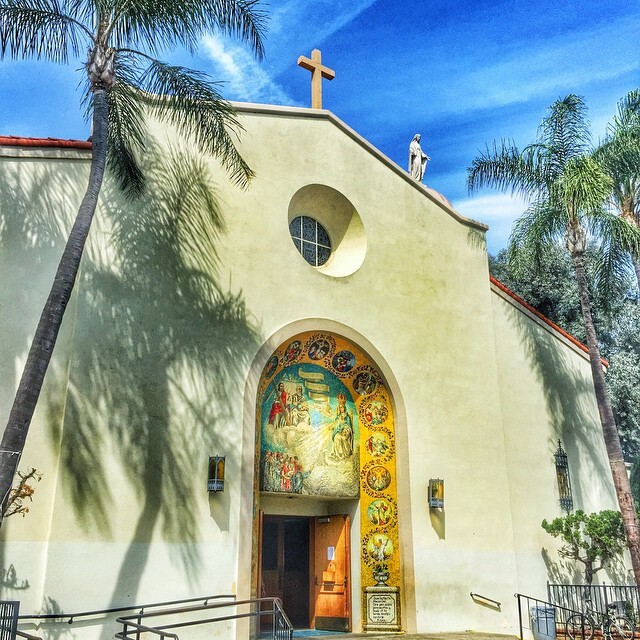 Cristo Rey Parish, Los Angeles, CA. In 1972 a house was opened in Madrid to serve as support and to attract some vocations. After eight hours this was closed without having achieved either objective. A similar fate befell a postulancy in Mexico (1986-1994). This continuous decline since 1968 forced a radical rethink of the province’s pastoral work. The 1982 chapter decided to concentrate on the regions with a greater density of Catholics, which meant leaving the Midwest. Between 1983 and 1984 five parishes were handed over to the bishop of Kansas City. 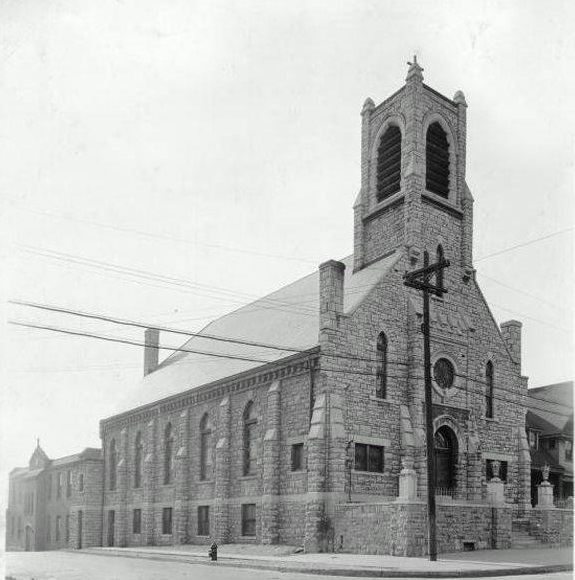 In 1986, the monastery of Kansas City was sold and Holy Spirit parish was returned to the archbishop of Omaha, followed the next year by Guadalupe parish. The province’s field of operations was drastically reduced by this, as well as through leaving other ministries. The 20 houses existing in 1975 were cut to 11 in 1995, 10 in 2003, and 9 in 2016. 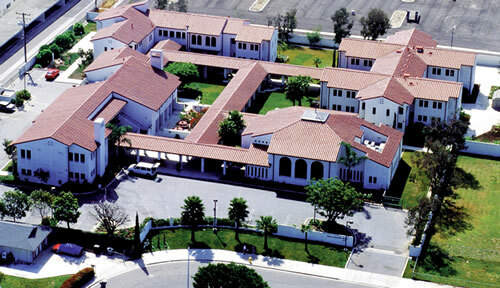 By way of compensation, in California the parish of Oxnard was taken on in 1983, and in the same town the Seminary of St Augustine was built in 1990. Also in California, Montebello parish was accepted in 1998, and in 1994 on the East coast, the New York parish of St John. Saint Augustine Priory, Oxnard, CA. Principal features and contributions of the Province of St Augustine to the history of the Order. Parish ministry has been the main service offered by the religious of the Province of St Augustine. After interviewing the friars and studying how the Province worked, in 1974 a commission of experts praised the attention given to the administration of the sacraments and to education. On the other hand, it highlighted weak links with Church and social bodies in its sphere of operations, the lack of enthusiasm for ecumenism, the province’s lack of interest in non-believers and in the urgent needs of the faithful in housing, health, and employment. Many religious added to their parish labours with the preaching of retreats and popular missions, hospital ministry, and teaching in parish schools and private educational centres. Provincial chapters supported these activities. Our Lady of Consolation Church in San Cristobal, Dominican Republic. Here as in other regions, the Recollects also concerned themselves with ensuring that their communities had churches, presbyteries, and schools. 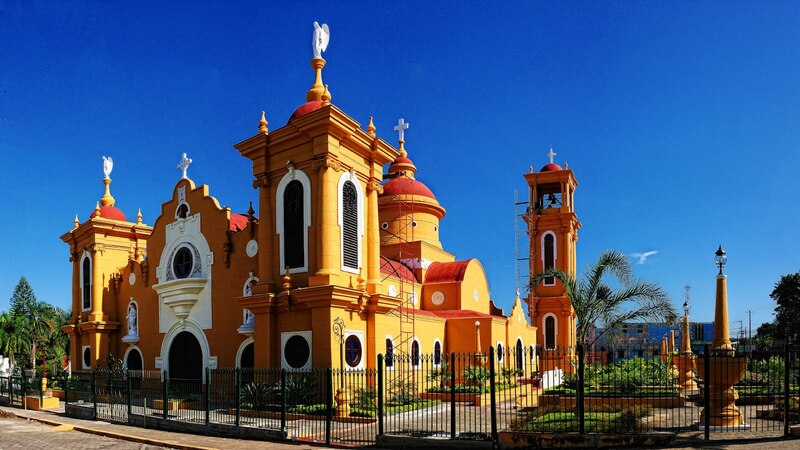 The churches of La Consolación in San Cristóbal (Dominican Republic), opened by Fr Nicolás Marcos in 1949, and that of the Pilar in Santa Ana (California), opened by Fr Fabián Gobeo in 1962, particularly stand out. At the opening, full of emotion, the Archbishop of Los Angeles congratulated the parish priest and the faithful, when he said that “It is rare that so few people have done so much with so little resources”. 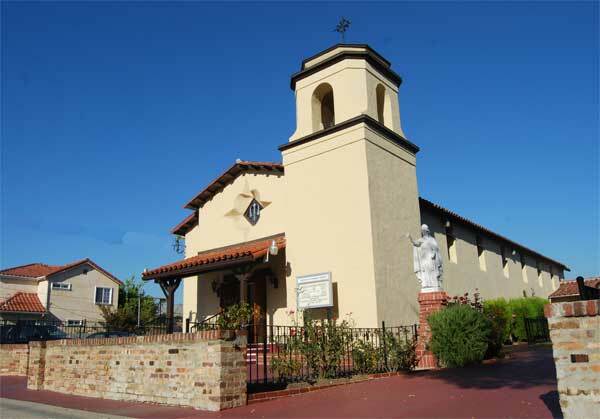 Our Lady of Pillar Church, Santa Ana, CA. It is also worth noting the attention given to the Order’s spiritual tradition and the care taken to maintain relations with the Augustinian Recollect family. In 1985 the province sponsored the arrival of the Augustinian Recollect contemplative nuns in the United States. This awareness is shown most clearly in its concern for the Secular Fraternity. It was one of the first provinces to take on board the Prior General’s appeal in 1950, and its response was one of the best. 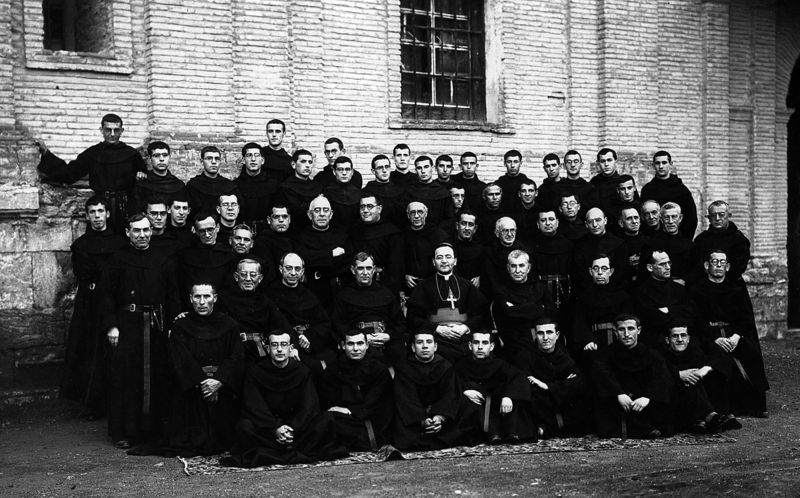 The provincial chapter of 1951 decreed the establishment of the fraternity in all ministries, and over the following ten years it was organized in twelve of the ministries. In 1959 the first regional convention was held in Kansas City, followed in September 1962 by a congress in which all the groups took part. In 1967 there were 1,708 members and 172 people in preliminary formation. Augustinian Recollects Nuns, Belvidere, NJ. Later, the enthusiasm diminished. The Secular Fraternity could not emerge unscathed from the criticism and lack of trust that beset Catholic associations following the Council. But in America the crisis was shorter than in other places. In 1976 a new group with 27 candidates emerged in the provincial curia. Within three years it had 60 members and 8 people in formation leading up to making their promises. From the 1980s onwards, following the call from the Order to set up the Fraternity in every ministry, new groups appeared in Suffern (New York) and in Mexico City and former fraternities were brought back to life , especially in Kansas and Texas. The Augustinian Recollect Francisco Moriones took on the task of providing them with material for reflection, and published a manual of Augustinian spirituality in three volumes that over the years has accompanied the reflections of the members of the Secular Fraternity around the world. Fr. Francisco Moriones OAR (†2008).